JamulBlog: Oh, look what Curiosity found now! Oh, look what Curiosity found now! 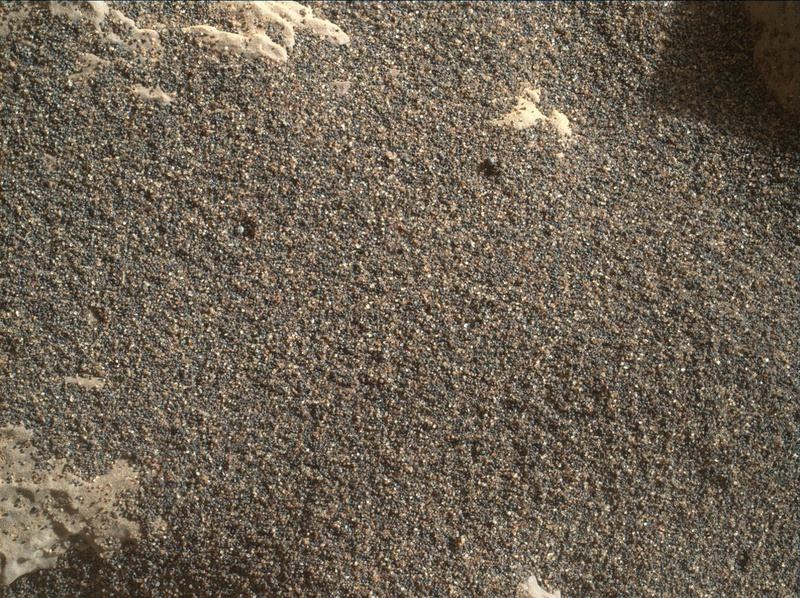 If you look closely at that photo, you'll see two little “craters” in the sand, each with what looks like a BB nearby. I found this in today's MAHLI raw photo dump, so there's no explanation attached.